Quick answer is yes. Call calendars in the MS Project schedule including resources and task calendars are included when you import using either the Addin or xml. 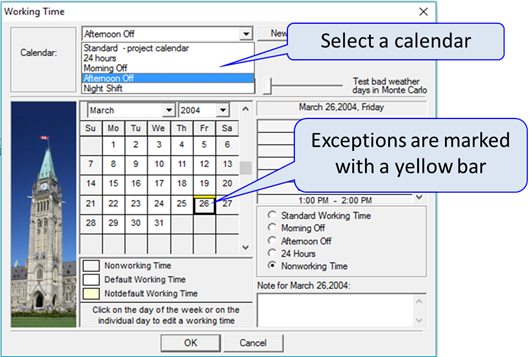 You can check to ensure you calendars have imported correctly in the Working Time dialog box. Select the calendar from the drop-down list and exceptions will be marked accordingly.